A picture is worth a thousand words. That is why it’s great to share your most beautiful photos from your last long distance travel, your most impressing wild life photography or your latest design project or art drawing. Photography and portfolio websites are amongst other websites the most creative, inspiring and profound ones where creative people like artists, photographers or freelancers can share their latest work with people from around the world. If you are a professional or leisure photographer, a creative web designer or an artist of any given field, why not showcase your latest work and present your creativity to all the people out there? In case you do have a WordPress blog already, why not enhance your blog and turn it into a fully functional and advanced website with multi-media galleries, neat portfolios or dynamic showcases? In this collection of WordPress themes we have handpicked some of the most beautiful and fancy looking photography and portfolio WordPress themes which offer all kinds of nice and useful features for awesome, unique and creative online presences. We hope you’ll find your favorite creative WordPress theme within this collection to take your WordPress website to the next level. PILE is a beautiful WordPress theme which is perfectly suitable for creative websites of designers, art directors, photographers or creative freelancers. This portfolio WordPress theme provides lots of great features and options to display your work and projects in a professional way. When browsing through your creative work, your website visitors will be delighted by smooth parallax scrolling and unique transition effects. PILE is thus suitable for modern online presences which focus on an appealing presentation of creative work. MH Elegance shines with simplicity - it comes with a clean but yet beautiful design and is perfect to showcase creative images, pictures or even photography of any sort. 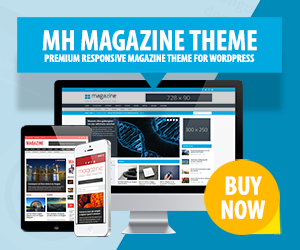 MH Elegance is fully responsive comes with a neat portfolio gallery and gives you the opportunity to choose an attractive background or header image for each page. Nimble Portfolio WordPress Theme is fully responsive and thus will look great on any kind of screen size resolution. Nimble combines boldness with beauty, you may create an amazing portfolio gallery but at the same time use your robust blog for articles or creative texts. Fotography Pro is a flexible WordPress theme to create beautiful, professional and unique WordPress websites to showcase latest photos in a nice and fascinating way. Whether you are a beauty, travel or lifestyle blogger, a photo journalist or a professional photographer, Fotography Pro is suitable for all types of photography websites and can be configured in several different ways. Thanks to such awesome features like included gallery layouts, multiple page and blog layouts, useful sidebar options and many more, you can use this SEO optimized and transaltion ready photography WordPress theme to present your creative work nicely. DeepFocus is a WordPress theme for photographers and offers a fully functional gallery to display your work in the best possible way. Present your pictures in a well-organized way and impress your visitors with your fancy selection. DeepFocus is furthermore fully responsive and thus adapts to all devices. Light weight and minimalistic - this is Feather Portfolio WordPress Theme. So if you are a web designer, artist or working at a creative agency this theme could be a perfect match for you. In terms of design it is plain and clean but yet warm and appealing thanks to its fine textures appearing in the background. Envisioned is a powerful portfolio WordPress theme with great customization options and a modern design and style. You may modify and tweak your website until reaching your ideal appearance. Envisioned offers fully functional media-galleries to showcase your work in a dynamic and fancy manner. Sky Photography WordPress Theme is a neat and simple but still fully functional and customizable WP template for photography or portfolio websites. Sky is suitable for creative agencies, web designers, photographers or other creatives. You may choose from four different color schemes to create an attractive and neat website according to your needs. Modest is a WordPress theme for photographers. It comes with an elegant and simple design and gives you a lot of space for your creative work. Modify your website in various different ways by adjusting the layout, manage advertisements or change colors as you wish and prefer. ePhoto WordPress Photography Theme is a unique template to showcase your photos and images. ePhoto provides two color schemes, both in a dark tone to give your photography the most attention. This WordPress photography theme is ideal to present colorful and bright pictures of nature, art, landscape, people or else. eGallery WordPress portfolio theme is emphasizing simplicity. With eGallery all the focus will lay on your content. You may display your images, pictures or web design drawings in a modern and fair way. Thanks to the included shortcodes you can display functions and options very easily without needing any coding skills. Vertex Portfolio WordPress Theme is a highly beautiful and surely creative template. Showcase your work or projects and customize your website in any prefered manner. As Vertex is fully responsive, it will adapt to any kind of screen size resolution, be it a tiny smartphone or a large desktop screen. Vertex is ideal to present creative work, no matter what type or sort. Your post collection is really nice & helpful for webdesigners. Thanks a lot for sharing the valuable post. Hi, Aline. Glad to see these portfolio themes. These themes seem to be perfect. Thanks for sharing.